Wisconsin’s girls hockey scoring leader getting a raw deal! 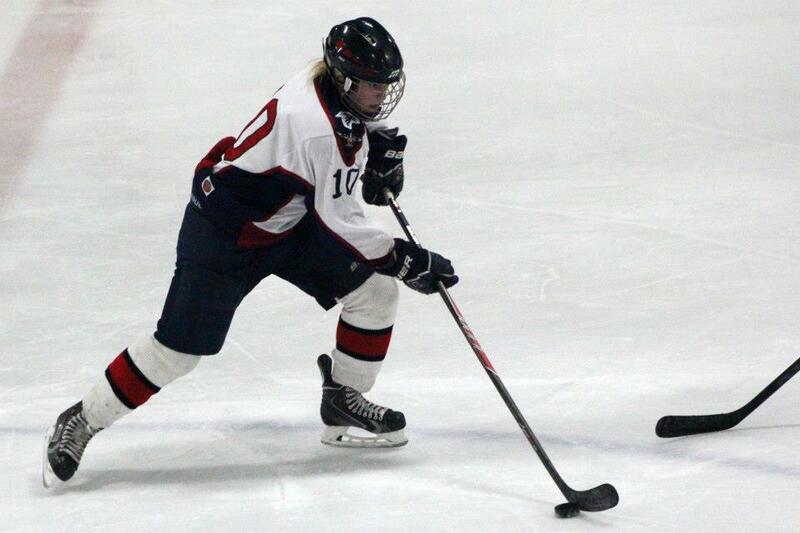 The girls WIAA hockey sectionals faceoff around the state tonight with semifinal action. The state’s top point getter, Mandy Tomlinson, takes to the ice with her Waupaca (Co-op) teammates to face the Bay Area Ice Bears (Co-op) at the Cornerstone Community Ice Center (7 p.m.) near Green Bay. Tomlinson helped Waupaca advance out of regional play by scoring her 13th hat trick of the season in a 5-4 win over Fond du Lac (Co-op). In that game last week, Tomlinson’s second goal forced overtime and her third goal won it 3:09 into overtime. Here’s a dunk from Little Chute’s Kenneth Lowe in last night’s 53-34 Eastern Valley Conference victory over the Waupaca Comets. Lowe will play college basketball next season just a short distance away, for the Green Bay Phoenix.